KPT now offers optional Dining Tops to turn your custom poker table into an attractive table for regular use. Contact us for more information and pricing! Contributing Member of the Poker Players Alliance, defending America's favorite game. 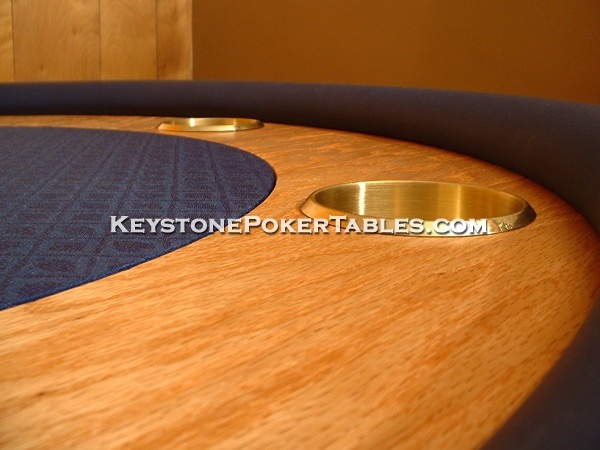 Keystone Poker Tables specializes in producing custom casino-grade poker tables to suit your taste and decor. We hand-craft every individually-numbered table, one at a time, for an unmatched level of quality, customization, and attention to detail. With literally millions of unique option combinations available, owning the personalized dream table you've always wanted may be easier than you think. We invite you to explore our website... check out some of our work in the Gallery, look through the Options available to you, and browse our Frequently Asked Questions. 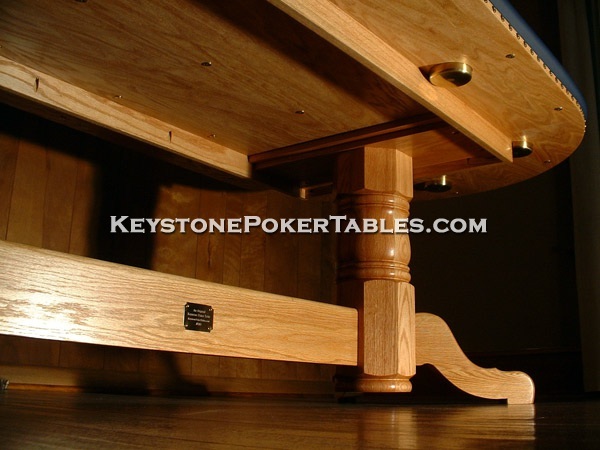 When you're convinced it's time for an original Keystone Poker Table, give us a call or send us an email. We invite your inquiry... welcome your order... and assure your satisfaction. 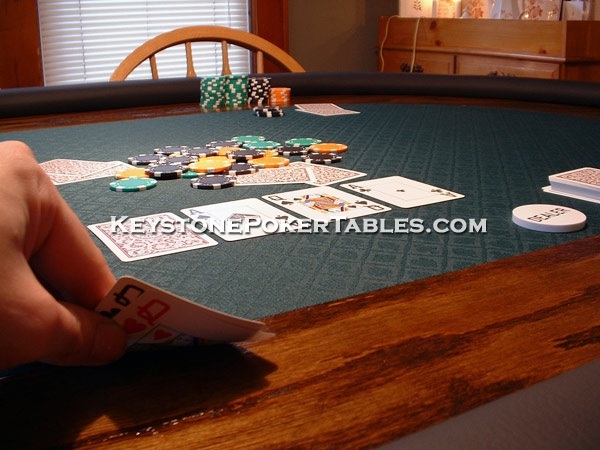 Keystone Poker Tables began in early 2005, with a goal to build a better poker table than those that were available, with great playability and a distinctive style. Not only that, we wanted a table that was built to last and would still look great after years of use, unlike many of the mass-produced tables on the market. 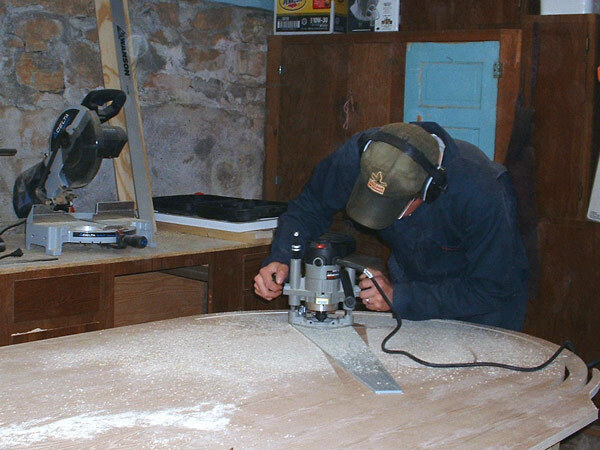 This desire led us on a lengthy search for the best materials and methods for building luxury custom poker tables. We fell in love with building tables, experimenting with designs, perfecting our methods, and of course, showing off the product of our efforts. Soon our friends, family, and poker buddies were inquiring about options and costs, and Keystone Poker Tables was born. Our focus has always been using the absolute best materials available, to produce only heirloom-quality furniture that will last a lifetime and beyond. Industry-leading foams and coverings, precise machine-cut pieces, seamless upholstered rails, and solid-wood aprons for strength and stability are just some of the features which make Keystone Poker Tables your best value. We take pride in impressing all who play on or see one of our tables, and enjoy being able to craft a product that we feel truly does speak for itself. The tables in our Gallery, and the satisfied customers they represent, will always be our best advertisement. And we don't just show you one or two carefully chosen photographs... you get too see every detail; from the quality of the finish and upholstery, to the completely finished table underside. We look forward to helping you take your home or club game to the next level, and proudly offer a 100% satisfaction guarantee on every table we build.